View some of our housing and apartment projects. Carlow Farm New-Build Courtyard Apartment Development. 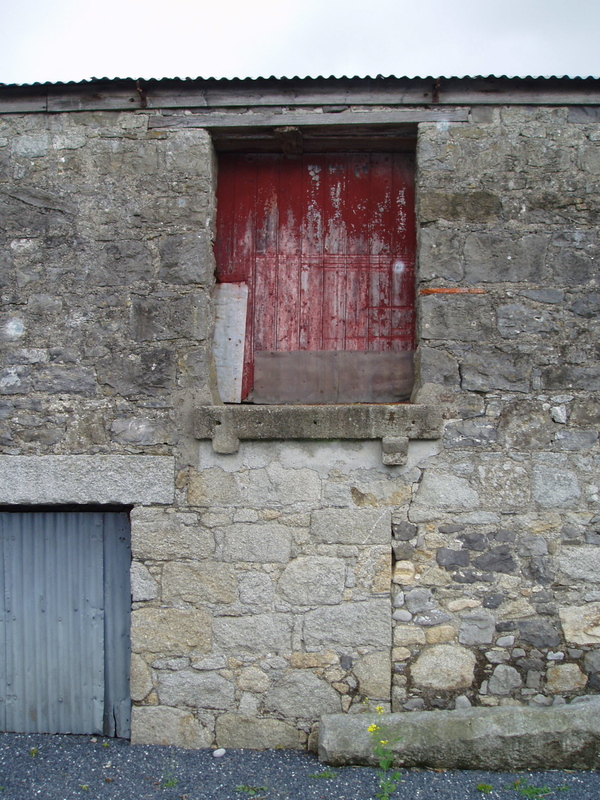 Part of a beautiful complex of disused farm buildings, this L-shaped granite walled section is to be converted into four loft-style dwellings. A new floor is to be added in a sympathetic and contemporary form. The upper floor will house light-filled living spaces,looking out over meadows to the distant hills. The development has been granted planning permission and is to be constructed to the highest environmental standards. 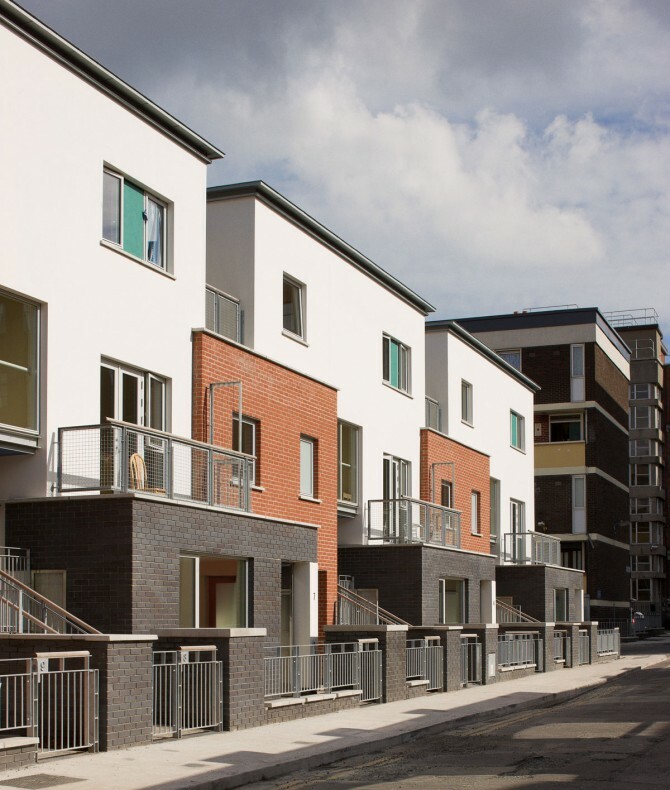 Infill Social Housing Development for Dublin City Council - Denzil Lane (Off Holles St), Dublin 2. The development comprises a new 3-storey mews terrace to complete the southern edge of a new resident’s courtyard formed with the existing 1960's flats. The nine new dwellings along Denzille Lane are designed as interlocking and repeating groups of 3 dwellings. Each group contains a 1-bedroom ground floor flat, a 2-bedroom house and a 3-bedroom duplex. 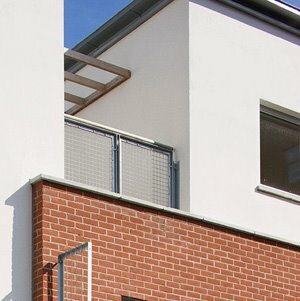 Each dwelling is clearly defined with blue and red brick and white render walls respectively. All dwellings are dual-aspect, face south, and are slightly set back from Denzille Lane with front yards and planting areas. Balconies and roof terraces are included for all units. 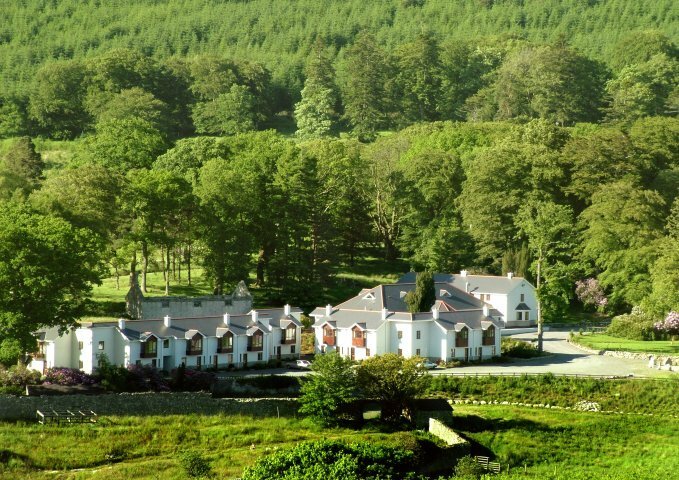 Kippure Estate, County Wicklow, The estate covers 240 acres of mature woodland and rolling farm pastures, surrounded by the beautiful Wicklow Mountains and the waters of the River Liffey. 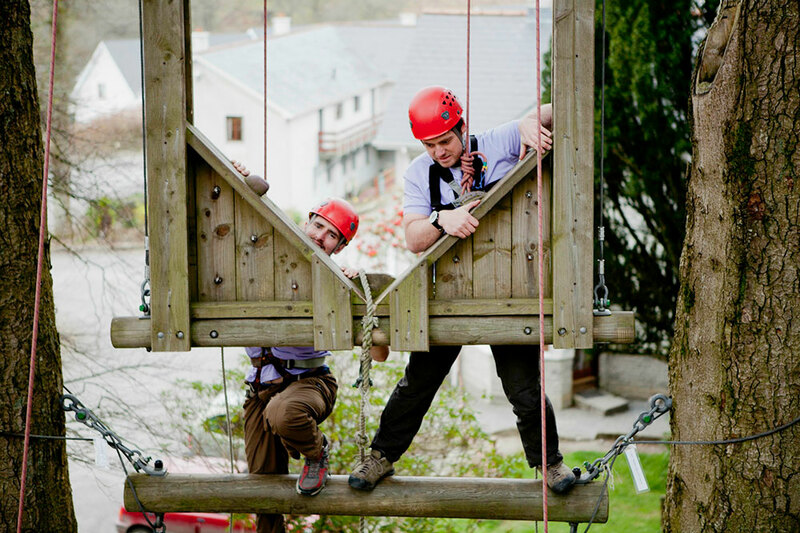 Hofler Architects designed the estate buildings including holiday housing accommodation for up to 140, bar, restaurant and meeting rooms. 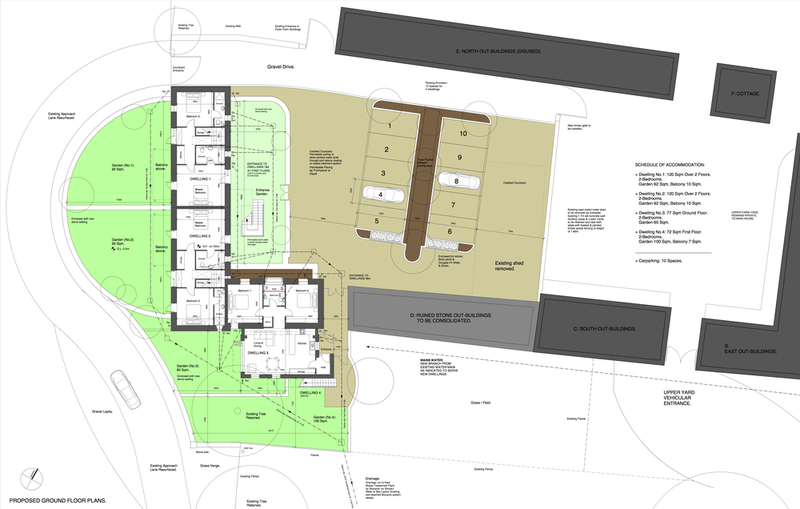 Proposed Housing Development at Sallins Road, Naas, Co. Kildare. 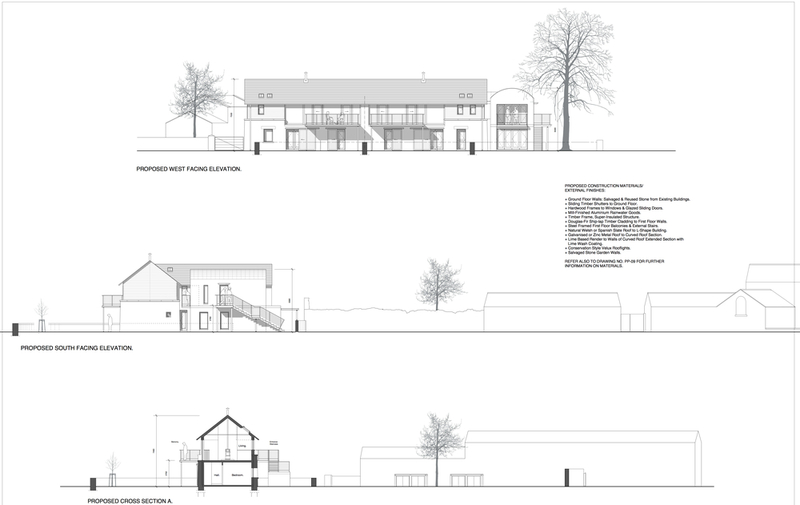 120 Houses and Apartments Granted Planning Permission. 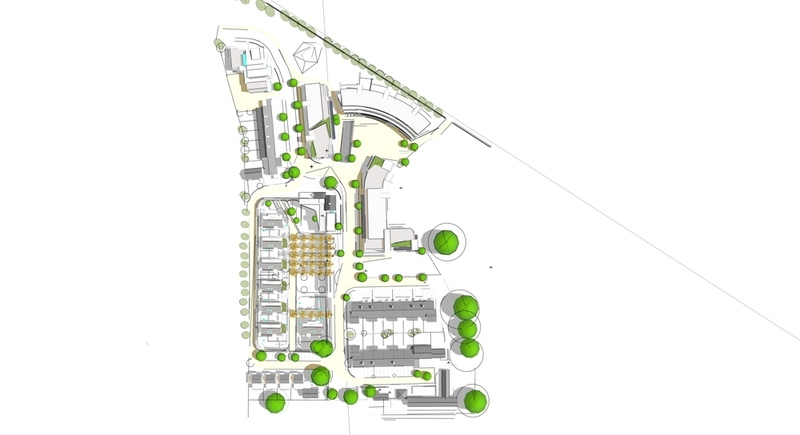 The development is set within a seven acre site that was formally part of Oldtowne Demesne. The site includes significant mature trees, a walled garden and a cottage and stables that will all be retained.